When property owners in Northern Virginia have an issue from pipe bursts, toilet overflows, kitchen flare-ups, mold infestations, or a disaster of any kind, they can rely on the water mitigation experts at 911 Restoration of Northern Virginia to take care of everything. The water damage technicians in Stafford are highly skilled and trained to take on any issue that your home or business may encounter, such as a flooded basement or pipe burst. We know from experience that the best way to make sure a property is taken care of after a basement has flooded is to be at the scene quickly and be prepared to start extracting water immediately. The water damage cleanup experts makes sure to arrive within 45 minutes of your call for emergency help, fully prepared to begin restoration procedures right away. Moreover, we provide 24-hour home flood cleaning service. Meaning, even if you need us in the middle of the night or on a holiday weekend, the water extraction techs will be there for you. If your home or business is dealing with a flooded basement or of any other disaster in Stafford, Spotsylvania, Woodbridge or surroundings, then be sure to contact the highly trained technicians at 911 Restoration of Northern Virginia to provide you with the peace of mind you deserve. 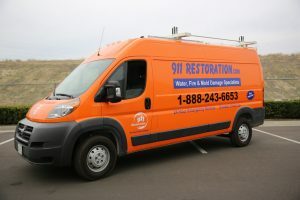 When it comes to taking on the challenges of a flooding situation, or even just a common pipe burst scenario, people trust in the know-how of the water damage restoration professionals to solve everything. In concert with our team’s ability to handle any flood restoration situation after it has already taken place, they are also trained to implement mold removal services if the signs of an infestation are discovered. There are things you can do to prevent the need for water damage and mold removal services. Make sure to clean out your gutters every year so that your roof won’t be damaged if they get clogged, and then allow overflows, ice dams, and ice walls to form. Removing dead tree limbs and debris around your property will lower the risk of these objects crashing into your property and causing water damage in the interior. Property owners should also replace the hoses and fittings that connect up your water-based appliances to the main line in your home or office as they can fail now and again and cause severe water damage when they do. Don’t let your property suffer from the effects of a water leak in a basement without getting help from the best in the business first. Call 911 Restoration of Northern Virginia for immediate relief from all that ails your property today! Water can invade your property in many ways, but frozen pipes are one of the main issues that can cause water damage in your home or business. When frozen pipes are present in your basement, they can crack and eventually burst, allowing gallons of water inside of your property. A flooded basement can be difficult to manage, mainly if you use the underground space as a storage unit. Your items can become saturated with moisture and may need to be removed from the area to implement flood restoration services properly. 911 Restoration of Northern Virginia understands all the steps necessary to mitigate a flooded basement, and they will pack up and store your items until the flood cleaning service is complete. The water cleanup technicians near Woodbridge will thoroughly disinfect your basement floor after a flood, leaving you with a safe space for you and your family to enjoy again. Call us when you need professional flood clean up services and help will be at your door within 45 minutes. Most people never expect to have to deal with the water damage that can be experienced if a back-flow preventer malfunctions, which is why 911 Restoration of Northern Virginia is highly trained in sewage removal. The sewage cleanup technicians are IICRC certified to take on just such incidents with ease and to make sure that you and your loved ones are kept safe from the harmful bacteria, diseases, and parasites that can be found in black water. The water damage technicians in Stafford make sure to use the most advanced suction and drying technology in not only these situations, but also the most effective agents for sanitizing your home to make it like new again in no time. 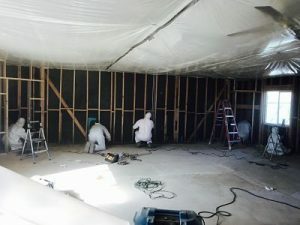 It is not uncommon for the water damage and sewage to spur the growth of a mold colony, so the sewage specialists will also implement mold removal services if need be. Don’t let your property suffer from a category three water crisis. Contact the sewage cleanup team for any sewage-related cleanup you need today. 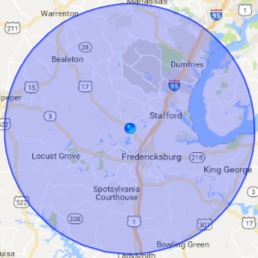 Fungi infestations frequently occur in properties in Fredericksburg, and it can be quite a challenge to eliminate on your own. By contacting the mold removal techs, you can be sure that every trace of mold will be removed. Thorough service is one of the many reasons why you should contact the mold removal team the minute you spot a mold colony in your home or business. Mold spores float around in the air at all times, and when they land on a porous surface that has even a hint of water saturating it, they will immediately grow and spread. Inhaling mold spores can also cause health issues, something that the mold removal pros are acutely aware of. By working quickly to decontaminate the property, they can ensure your safety. If your property has begun smelling musty, then you might have a fungi contamination in your walls or ceiling. Contact the mold removal team for fast help today! Property fires are some of the most damaging events that can take place in a home or business, which is why the technicians at 911 Restoration of Northern Virginia are trained to take on any sized fire damage restoration job. Their technicians are well-aware of the reality that a property fire usually involves more than just the damage caused by the smoke and flames. There are also damages associated with flooding caused by the fire hoses. When a fire department puts out a fire, they use as much water as possible to make sure that the flames are terminated, which results in flooding and water damage. 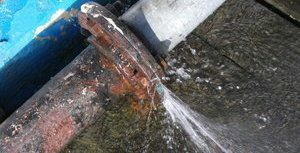 When this happens, the stagnant water sits on the structure until fire damage restoration services can be administered. By doing so, the professionals will prevent more extreme water damages from setting in, as well as the need for mold removal services. By hiring our fire damage professionals, you will also receive water damage and mold removal services. So, contact 911 Restoration of Northern Virginia to receive fire damage restoration services that will ensure you make a full recovery. Virginia is no stranger to the various kinds of disaster situations that can occur on and in properties, ranging from man-made infrastructure challenges to natural disasters of all kinds. To make sure that our customers are taken care of entirely in these tense times, the technicians go above and beyond to offer the most comprehensive experience possible, from water damage to fire damage restoration services. 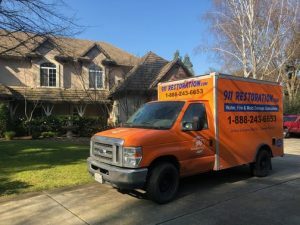 This flood cleanup company is wholly dedicated to professionalism, and that is why their technicians make sure to always put the customer first in every scenario they encounter. By giving our clients the best experience possible, we have become the go-to source for services in Woodbridge when any disaster occurs. So, contact the disaster restoration specialists when you need any restoration assistance, and they will show you that it is possible to turn a disaster into a fresh start.